Shopping for a new Land Rover Range Rover Sport? Save money by skipping the third row if you can. It’s too cramped and getting in and out is a tall task. The 2018 Land Rover Range Rover Sport is near the top of the luxury SUV mountain—mostly because it can climb there without trouble. The 2018 Land Rover Range Rover Sport parks near the mountaintop of luxury SUVs. It drove there. 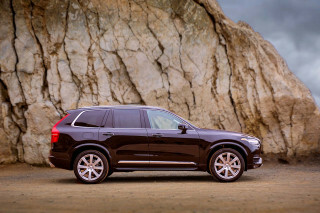 It's comfortable and spacious, handsome and luxurious, with plenty of performance throughout the range. You’d be correct to assume that none of that comes cheaply. The Range Rover Sport is offered in SE, HSE, HSE Dynamic, Supercharged, Autobiography, and SVR trim levels that start at $67,745 and reach all the way past $114,000. The news this year is a new infotainment system inside and a handful of changes outside. The sleek and sharp new infotainment system comes via the Range Rover Velar and boasts twin 10-inch touchscreens for infotainment, vehicle functions, and climate control. Dubbed “Touch Pro Duo” by Land Rover, the system is impressive in its display and simplicity. Range Rover offers a trio of engines under hood, with a few permutations among them. The base engine is a 3.0-liter supercharged V-6 that offers 340 or 380 hp, depending on configuration. 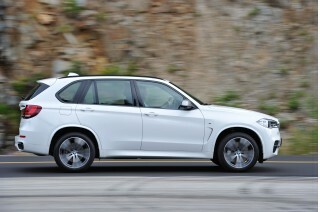 A 3.0-liter turbodiesel leads efficiency on the highway with EPA ratings at 28 mpg on the highway. A supercharged 5.0-liter V-8 is available on top trims with 518 or 575 hp. The latter propels the Range Rover Sport SVR to 60 mph in 4.3 seconds. In all cases, the Range Rover Sport is teamed with an 8-speed automatic and standard four-wheel drive that can scramble up a mountain if you’re daring to take that six-figure SUV into unmapped territory. Nominally a “5+2,” the Range Rover Sport works best for four adults to sit in high luxury. The seats are shod with leather hides as standard, and only get better by throwing more money at it. A cramped third row is optional on HSE and higher trims and it’s best left to occasional use for children. No Range Rover Sport is poorly equipped, and all models feature leather upholstery, dual 10-inch touchscreens, USB and Bluetooth connectivity, dual-zone climate control, 19-inch wheels, and Range Rover’s legendary capability, including the ability to ford up to 3 feet of water. Clean, crisp, and an instant classic, the 2018 Range Rover Sport is impressive inside and out. While the Range Rover Sport plays second fiddle to the bigger Range Rover in name, it doesn’t by way of design. To some it may be indistinguishable from its bigger brother, but we like the Sport’s clean lines, floating roof, and sporty character. The Range Rover Sport impresses in its smooth surface, blacked-out roof pillars, and chunky grille, which share similarities with the rest of the Range Rover lineup. 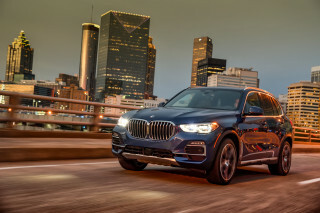 The Sport strikes out on its own with a short and chopped tail, bulging wheel arches, sloped roofline, and faired headlights that smooth the SUV’s shape further. The SVR cuts a meaner shape with bigger and wider wheels, befitting its bonkers speed. Inside, the Range Rover Sport is more impressive with wood and leather on nearly every touchable surface. The addition of the automaker’s dual-touchscreen and control system streamlines a cabin that was already swanky. The Sport more closely aligns with the bigger Range Rover on the inside, than it does on the outside, except the optional third row seat that offers limited space for children. Every model includes four positions for adults, and an occasional middle position in the second row. SVR editions include bigger bolsters and deeper seats for its performance mission. The 2018 Land Rover Range Rover Sport boasts an impressive array of powertrains, all capable and many quick. Don’t be fooled by the “Sport” addendum to the Range Rover badge. The 2018 Land Rover Range Rover Sport is just as capable off road as the rest of the Land Rover family. In top trims, it’s even more capable on road. The base engine in the Range Rover Sport is a 3.0-liter supercharged V-6 shared with Jaguar and other Land Rover products. In the Range Rover Sport, it’s offered in two tunes: 340 horsepower in SE and HSE variants, 380 hp in HSE Dynamic spec. 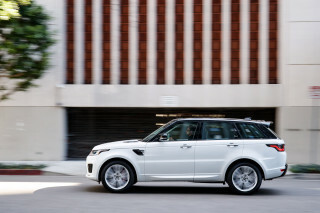 According to Land Rover, the V-6 pulls enough for a run up to 60 mph in 6.9 seconds in the Range Rover Sport SE. 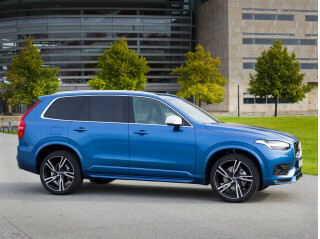 A 3.0-liter turbodiesel V-6 will be the next step for shoppers, which is available on SE and HSE trim levels. 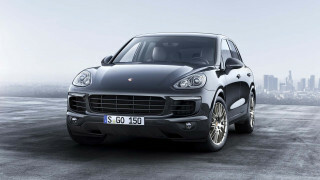 Its 254 hp is secondary to its 440 lb-ft of torque and 658 miles of range on a tank of diesel fuel. At $2,000 more than the base, it’s a reasonable premium for longer range and the diesel engine’s silent operation and comfortable cruising should be a consideration for long hauls in superlative comfort. The supercharged 5.0-liter V-8 is available on Supercharged, HSE Dynamic, and Autobiography trim levels. At 518 hp and 461 lb-ft, the V-8 is prolific in its power and thirst for fuel. Land Rover quotes a 5.0-second sprint up to 60 mph in those variants, and it makes for a supremely quick SUV. At the top of the performance pile is an uprated V-8 that makes 575 hp and 561 lb-ft in SVR guise that does the 60-mph dash in 4.3 seconds. 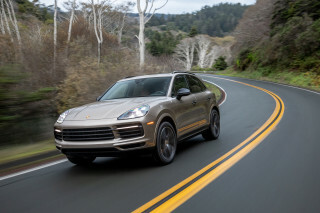 It’s loud, brash, and quick—everything that a high-performance SUV should be. It’s track-ready, a physical feat that customers will have to pay more than $114,000 for to experience. In all variants, a smooth-shifting 8-speed automatic keeps pace with the busy engines and relays power to all four wheels. Range Rover’s Terrain Response selector dials in throttle, transmission, and stability control settings for nearly every type of terrain. Optional on SE and HSE variants, and standard on higher trim levels, is a Terrain Response 2 system that includes a low-range transfer case and programmed settings for General, Dynamic, Grass/Gravel/Snow, Mud/Ruts, Sand, Rock Crawl, and Auto programs that transform the Range Rover Sport into an off-roading genius. We’ve found that the Auto program seamlessly shuttles between power programs thanks to its constant monitoring of traction conditions. Most Range Rover Sports boast 9.3 inches of ground clearance, more than 10 inches of wheel travel front and rear, and an impressive 33.5 inches of fording capability when the driveway includes a creek. 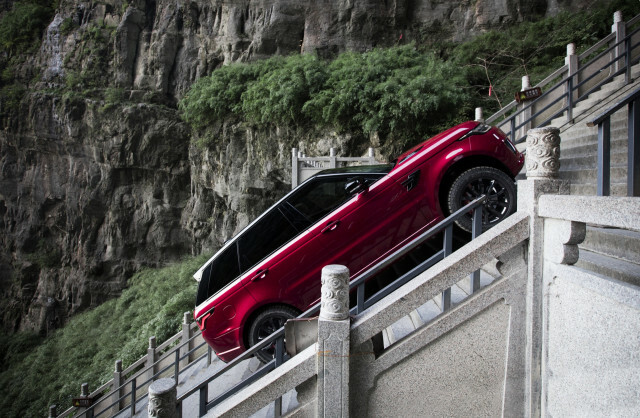 The SVR version forgoes some of that off-road capability for better aerodynamics and a sportier appearance. An air suspension is standard on all models that raises and lowers the Range Rover Sport at the press of a button. Regardless of terrain, the Range Rover Sport boasts a comfortable ride that cossets passengers from the outside world. The 2018 Land Rover Range Rover Sport isn’t just an impressive SUV, it’s also an impressive luxury vehicle. As a luxury vehicle, the 2018 Range Rover Sport works exceedingly well. On top of comfortable accommodations in the first and second rows in every trim level, the Range Rover Sport boasts a large cargo area and top-notch fittings. The third row in the Range Rover Sport is optional on HSE trim levels and higher, but not available on the SVR edition. It’s cramped and best considered for occasional use only. The first- and second-row seats are fine anyhow. In the front, the driver and passenger are treated to nearly identical accommodations as the larger Range Rover. The Sport’s seats are a little more cockpit-like, with a deeper setting, but it’s still a tall and commanding view of the road. The second-row accommodations prefer two passengers, but three will fit. The outboard positions are deeply sculpted and supportive for all-day jaunts. The second row of seats sports 37 inches of leg room and enough shoulder room for a pair of middle linebackers. With the second row in place, the Range Rover Sport offers 27.7 cubic feet of cargo room. Folded down, that space balloons to 62.2 cubes. Every Range Rover Sport offers power adjustable seating, although tonier models sport more adjustability, heating and cooling, and even massage functions. The materials in a Range Rover Sport are some of the best around—leather, wood, metal, and plastics all look great and feel good, befitting the luxury SUV’s steep price of entry. The 2018 Range Rover Sport lacks a complete set of crash data. Last year, the Range Rover Sport added automatic emergency braking to all trim levels, and most will feature advanced safety systems such as blind-spot monitors, parking sensors, and LED headlights. A surround-view camera system is standard on top trims and optional on HSE and SE trim levels. A rearview camera is standard on all Range Rover Sports. Outward vision is acceptable on Range Rover Sports, although its prodigious size and heft won’t fool many people into thinking that it’s a small car. Luxuriously equipped in any trim level, the 2018 Range Rover Sport gets a new touchscreen system that must be poked to believe. Reach out and touch your nearest Range Rover Sport. At least, that’s what you’ll need to do to change the radio station. The Range Rover Sport lineup spans SE, HSE, HSE Dynamic, Supercharged, Autobiography, and SVR trim levels. The SE trim level is well-equipped for its $67,745 price. 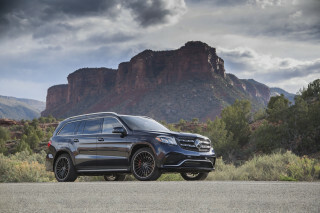 It is equipped with leather upholstery, power adjustable heated front seats, an eight-speaker audio system, USB and Bluetooth connectivity, dual-zone climate control, a rearview camera, 19-inch wheels, and keyless ignition. The HSE trim level adds 20-inch wheels, a panoramic sunroof, upgraded leather seats, more adjustability for the front seats, blind spot monitors, an 11-speaker audio system, parking sensors, and LED headlights. 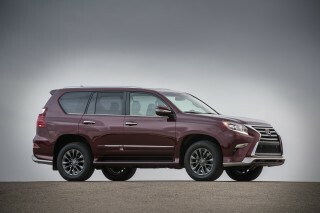 Stepping up to the HSE Dynamic trim level for the V-6 version adds 20 hp, 21-inch wheels, red brake calipers, a leather-wrapped steering wheel, 22-way adjustable heated and cooled front seats, a 19-speaker premium audio system, and black exterior accents. 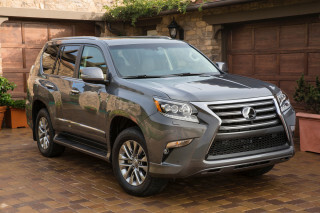 The Autobiography trim level, which requires a supercharged V-8 engine, adds soft-closing doors, three-zone climate control, a heated steering wheel, and 21-inch wheels. The high-powered SVR trim level is largely compelling because of its massive 575-hp V-8 and low 4.3-second 0-60 mph sprint, but it’s loaded with features such as a standard sport-tuned air suspension, surround-view camera system, sport seats, exterior SVR accents, and uprated brakes. Its performance is breathtaking, and so is its price—more than $114,000 to start. Taken from the Range Rover Velar, the Range Rover Sport’s newest addition this year is a pair of 10-inch touchscreens that control the car’s infotainment, ride control, and climate settings. The two touchscreens are canted toward the driver, with the top screen handling most infotainment functions and the bottom screen handling climate and vehicle controls, with little overlap between them. Two rotary dials flank the bottom touchscreen but they’re contextual—they control different functions for the menu selected. Aside from climate and seat controls, the second screen is the nerve farm for Land Rover’s new terrain management system that toggles between sport, comfort, eco, and off-road modes including snow, sand, mud, and crawling. Each separate icon has its own beautiful tableau that serves as a reminder for each setting, and when used with the optional air suspension system, can be further configurable. The third member of Land Rover’s terrific trio is a 12.3-inch configurable driver information display that can show map data, vehicle settings, speedometer, tachometer, and other information in a beautifully rendered screen. Good news: The 2018 Land Rover Range Rover Sport’s diesel is relatively fuel-efficient. Better news: A plug-in hybrid is coming next year. The 2018 Land Rover Range Rover Sport makes an honest effort at fuel efficiency in some models—but not others—and ultimately physics limits its potential. If fuel efficiency is your primary concern, the Range Rover Sport turbodiesel is your only go-to—for now. The EPA rates the turbodiesel at 22/28/24 mpg. A plug-in hybrid Range Rover Sport is on the way for 2019 that should be more efficient. From there, the Range Rover Sport slides luxuriously into decadence and excessive fuel consumption. The base supercharged V-8 is rated at 14/19/16 mpg in all trim configurations, including the high-power SVR spec. Considering its size and heft, the Range Rover Sport isn’t exceedingly thirsty and it compares favorably to the V-6 Land Rover Discovery, which is rated at 19 mpg combined with a V-6 engine.